A controversial Forest Service plan to establish a 137-mile trail for off-road vehicles in the Ochoco National Forest has been shot down by a federal judge in Pendleton, Ore.
Patricia Sullivan issued her decision after a decade-long effort led by the Forest Service to include OHVs into the forest's travel management plan. While the plan was favored by the Ochoco Trail Riders, Deschutes County 4-Wheelers, and others, it was met by stiff opposition from environmental groups and the Oregon Department of Fish and Wildlife. The judge's ruling has been referred to another federal magistrate in Portland for review, but opponents of the plan expect the ruling to be upheld and confirmed. Environmental organizations such as the Oregon Hunters Association, the Great Old Broads for Wilderness and Oregon Wild argued that the trail and road system would have caused "irreparable damage" to fish and wildlife and destroyed the solitude of those seeking "quiet recreation" in the 850,000 acre national forest. The Oregon Department of Fish and Wildlife agreed, citing numerous studies by the Starkey Experimental Forest and Range near La Grande showing negative impact on elk caused by motorized vehicles. A location near Indian Creek in the Ochoco National Forest where off roaders trammel balsamroot. The Oregon Hunters Association argued the trail would have interrupted critical elk habitat. Bill Littlefield of the Oregon Hunters Association stated, "The proposal has the trail system mostly in the high country, which is summer sanctuary for the elk. It would have been open during calving time, putting pressure on elk and forcing them to move." Additionally, hunters argued that elk are moving away from their natural forest habitats, seeking safe shelter and forage on private lands where hunters are often locked out with no trespass signs. Oregon Wild was also concerned about potential mudding by four-wheelers in sensitive fish habitat, Deep Creek, where native redband trout spawn. Former ODFW fish biologist Amy Stuart says she was very concerned about the trail proposal. "Deep Creek is probably one of my all-time favorite streams. I love wet-wading on a hot summer day fishing for little redband trout in that stream. Those are the places that I think should be protected from certain uses and the trail was proposed right through the Deep Creek watershed which is some of the premier fishing left in the whole forest." Larry Ulrich, President of the Ochoco Trail Riders, argued that the trail system would have minimal impact in the Ochocos. "It's a big forest. There's room for everybody," he said. Ulrich says he worked for the Forest Service for 15 years running groomers down the trails and the deer would just stand there and watch. "They don't care and most people won't even realize the trail is there because everybody has to be muffled. You have to have mufflers and spark arresters on your quads and motorcycles." 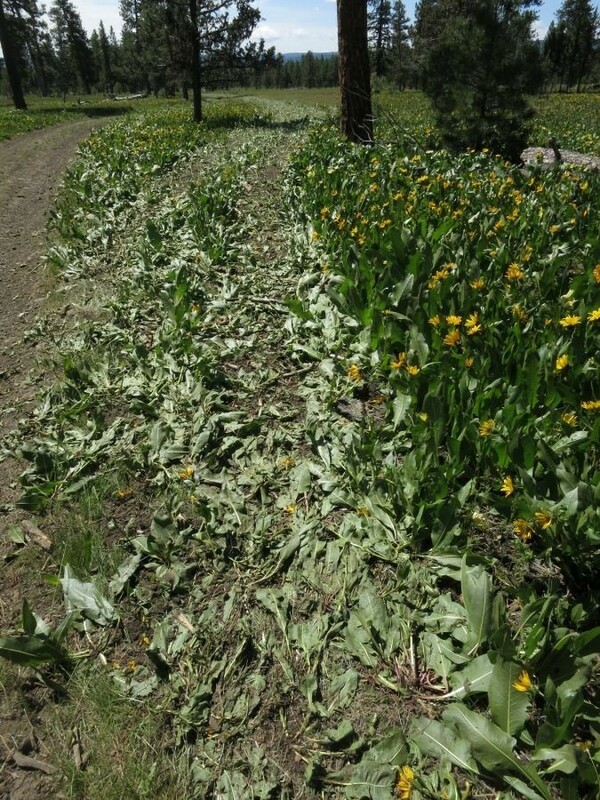 A mudded area by OHVs illegally tearing up McKay Creek Meadow in the Ochoco National Forest. Tom Case of the Central Oregon Patriots says the voice of those who favor motorized recreation in the forest is mostly ignored. "I'm so upset because there was all kinds of conversation and people had the opportunity to express their concerns. Everybody I know went down that road and sent their concerns to the national forest. It just seems like every time we do that our voice is just thrown out the window and they [environmentalists] file lawsuits." Sarah Cuddy, who coordinates efforts to protect the Ochocos for Oregon Wild, says off-roading is not a high-demand activity in the forest. "Motorized recreation is not an increase in demand for the Ochocos, according to the Forest Service's own studies. So, to designate 137 miles of the forest for one particular user group to the detriment of wildlife and other sources of recreation would change the character of the forest." The Forest Service argued the trail system would have helped contain illegal off-trail travel by providing a trail system for off-roaders. Oregon Wild didn't buy the logic stating, "Seven hundred miles of illegal OHV trails already mar the Ochoco National Forest. This new Summit Trail System would have rewarded illegal offroad use by adding 20 percent more trails without offering any additional enforcement, scarring important wildflower meadows and old-growth ponderosa pine ecosystems." Cuddy also says there are plenty of opportunities for off-roaders elsewhere in Central Oregon. "There are 53 different OHV trails in the State of Oregon, 10 of which are here in Central Oregon. There are plenty of opportunities for off-roaders without compromising such a special forest." In a 2017 interview with Central Oregon Daily, trail rider Larry Ulrich praised the Forest Service efforts to establish the trail. "One of the reasons it took so many years is that they went through every NEPA [National Environmental Policy Act] process they needed to go through. They did everything by the book." Brian Jennings is a feature reporter for Central Oregon Daily on KOHD ABC at 6pm and KBNZ CBS at 7 pm weekdays. 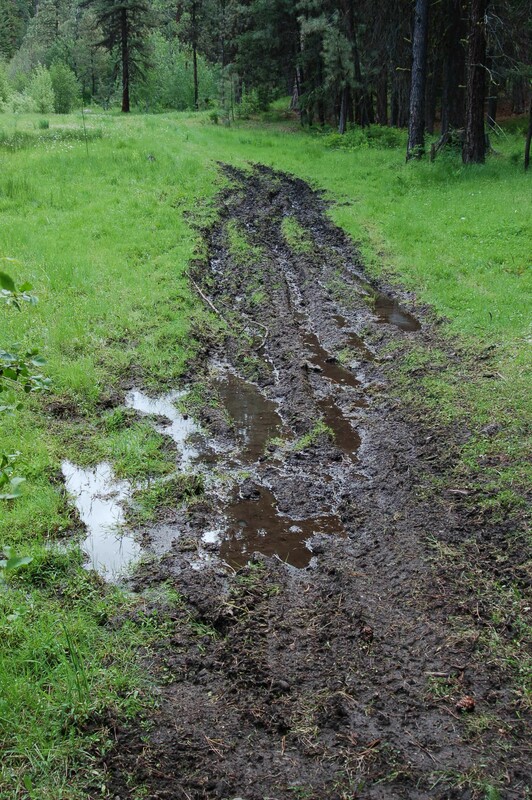 He has followed the controversial trail system proposal for years.